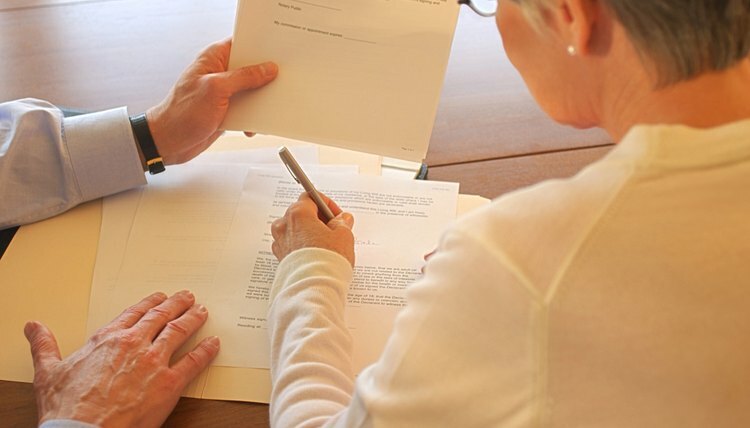 Generally, a financial power of attorney gives your agent authority to make financial decisions or conduct certain financial transactions for you, such as accessing your bank account, buying or selling property or making investments on your behalf. Powers of attorney are not one-size-fits-all; you can customize your power of attorney to meet your specific needs. For example, if you only want your agent to be able to access your checking account, you can draft your power of attorney so he has access to only that account. Regardless of an agent’s relationship to you otherwise, his actions under a power of attorney carry the weight of a “fiduciary” responsibility. Fiduciary responsibility means your agent must act only in your best interests – not his own. For example, your agent can sell your vehicle for you if your power of attorney gives him that power, but he cannot sell it to himself at a price below market value. He could, however, sell it to himself at market value or above. Similarly, your agent cannot legally take money out of your accounts for his own purposes or use your money to invest in his own risky business venture. Essentially, your agent must act on your behalf anytime he uses his authority as your agent or he risks violating his legal duties to you. Power of attorney abuse frequently involves an agent using his authority to personally benefit – usually at the principal’s expense. For example, some states allow you to give your agent authority to give gifts on your behalf. If your agent gives a financial gift to a charity you regularly support, there is likely no abuse of the power of attorney. However, if your agent uses his power to give gifts to himself or his close family members, such gifts could be considered an abuse of his authority. Your loved ones may need to pursue court action to stop such abuses. If your agent’s actions violate your state’s criminal laws, such as theft or fraud, you could contact law enforcement and your agent could face criminal charges. Since a power of attorney is a private matter between you, your agent and businesses where your agent uses the document, your family members or friends will not necessarily have access to see what powers you gave your agent. This sometimes leads to family and friends believing your agent has overstepped his bounds when, in reality, he is actually exercising powers you gave him. To avoid this confusion, you may wish to keep your loved ones informed about what your agent is allowed to do for you. You can even give them a copy of the document. Additionally, you can structure your document to include safeguards against abuse. For example, you can name co-agents instead of just one agent, requiring both agents to sign off on any transactions. You can also require your agent to provide an accounting that details every transaction he conducts on your behalf. Since you can limit your agent’s powers in the power of attorney itself, you could even give powers of attorney to multiple agents, giving each one only a few small powers so that no one agent has broad authority over all your affairs. Smith, Gambrell & Russell, LLP: Where Is the Cash? When you are unable or unavailable to accomplish certain tasks, such as accessing your bank accounts, you may need an agent to act for you. A power of attorney is the document that gives your agent this authority, and it usually provides for reimbursement for reasonable expenses. State laws vary on the types of expenses for which an agent can be reimbursed, but you often can adapt these rules to fit your situation.